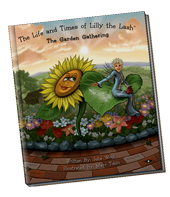 Experience the fascinating adventure and spectacular illustrations of The Life and Times of Lilly the Lash; The Garden Gathering, on DVD. The captivating narration delivered by the author, accented with a variety of descriptive sound effects, brings this incredible storybook to life! 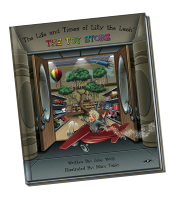 Experience the fascinating adventure and spectacular illustrations of The Life and Times of Lilly the Lash; The Toy Store, on DVD. The captivating narration delivered by the author, accented with a variety of descriptive sound effects, brings this incredible storybook to life! 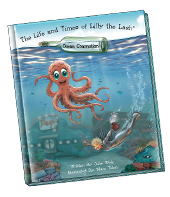 Experience the fascinating adventure and spectacular illustrations of The Life and Times of Lilly the Lash; Ocean Commotion, on DVD. The captivating narration delivered by the author, accented with a variety of descriptive sound effects, brings this incredible storybook to life! 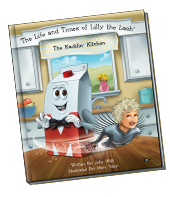 Experience the fascinating adventure and spectacular illustrations of The Life and Times of Lilly the Lash; The Kacklin' Kitchen, on DVD. The captivating narration delivered by the author, accented with a variety of descriptive sound effects, brings this incredible storybook to life! 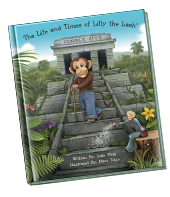 Experience the fascinating adventure and spectacular illustrations of The Life and Times of Lilly the Lash; Jungle Jive, on DVD. The captivating narration delivered by the author, accented with a variety of descriptive sound effects, brings this incredible storybook to life! This satchel, similar to the one Lilly carries, comes with one of six finger puppets (different insects that can be found throughout the book) and a garden ring too. What fun! This satchel, similar to the one Lilly carries, comes with one of several different bouncing balls and a top for spinning (both of them can be found in the book). Yahoooo!! This satchel, similar to the one Lilly carries, comes with one of several different rubber rings decorated with ocean scenes and a cool flip flop key chain (images you’ll find throughout the book). Be stylin’ with your ring, while you hang the key chain on your backpack. Go get em’! This satchel, similar to the one Lilly carries, comes with a refrigerator magnet of Lilly the Lash and Mookee MaGee, and a terrific fruit eraser (one of six different ones). You’ll find refrigerator magnets, as well as a fruit bowl in the book. Pretty cool!! This satchel, similar to the one Lilly carries, comes with one of five different animal finger puppets (animals you’ll find throughout the book) and an awesome ring – one of several decorative balance designs. 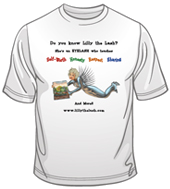 These items make reading Lilly’s book more fun than EVER!! These Lilly the Lash pencils are No. 2 and have a terrific eraser. Let’s get to work! This activity book has 12 pages of fun for children 4 – 7. Word Searching, Fill In The Blank, Coloring Pages, and more! 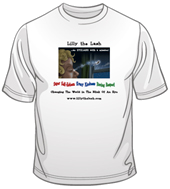 These durable 100% Cotton Pre-Shrunk shirts come in three different designs. Choose the one that you like best and wear it with pride! You can purchase a slightly smaller version of the motivational board game for just $10.00! 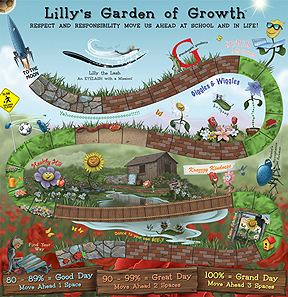 We reduced the size to 27” x 28” in order to create one, complete poster at a super affordable price. 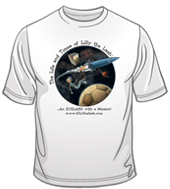 You can buy it directly from the author at book signings, or order it from the website. (Note: $6.00 shipping charge). The poster comes in a protective mailing tube to avoid any creasing of this incredibly beautiful tool!! Yahoooooooo!! 20% Discount - Five Books for the Price of Four! Shipping is $7.00 – Per set of books purchased. Enter the library telephone number and contact person in the white boxes located below. When you press the ORDER button – you will be taken to a new screen. There you will clarify the quantity of sets you desire to order. You must supply a valid library shipping address (Public or School). If your library has a specific need that differs from the above package, please contact Julie Woik at 941-504-9230.